Vincent Kompany, who is currently sidelined with an injury sustained in the match against Real Madrid, will not be offered any role by Belgium. There was news that the Belgium captain might be accompanying the team in a non-playing role for the Euros, but the Belgium coach has denied these rumors. Indeed, Marc Wilmots has stated that Kompany will not be offered any position at the Euros and that it is important that the player rests properly so as to be able to recover for next season. This will be a relief for the Manchester City medical staffs who were clearly against the idea that Vincent Kompany goes to the Euros even in a non-playing role. The recent injury was indeed the fifth one sustained by Kompany this season and City would be more than happy that Belgium did not offer any role to their player. Marc Wilmots admitted that it was a blow for the team to lose a player of his quality and that they will need to cope with his absence. 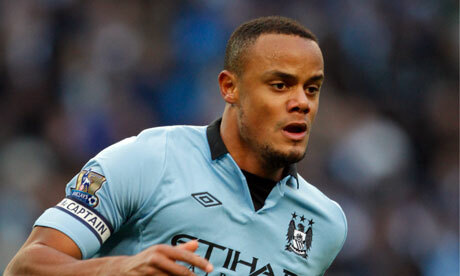 He added that Vincent Kompany is not only a talented player on the pitch, but he is also a leader for the team. However, he stated that there is no special role for him at the Euros and that he will be better off resting and preparing himself for the next season. Marc Wilmots, however, has selected both DivockOrigi and Christian Benteke for the Euros. Origi is currently injured, but the Belgium coach believes that he will be ready for the tournament. Benteke, on the other hand, has just made his return from injury and still lack match fitness. Belgium still hopes to have a good tournament at the Euros and hope that other players can stand in for the absence of Vincent Kompany.